No money, mo’ problems! Okay, it’s not quite that simple. 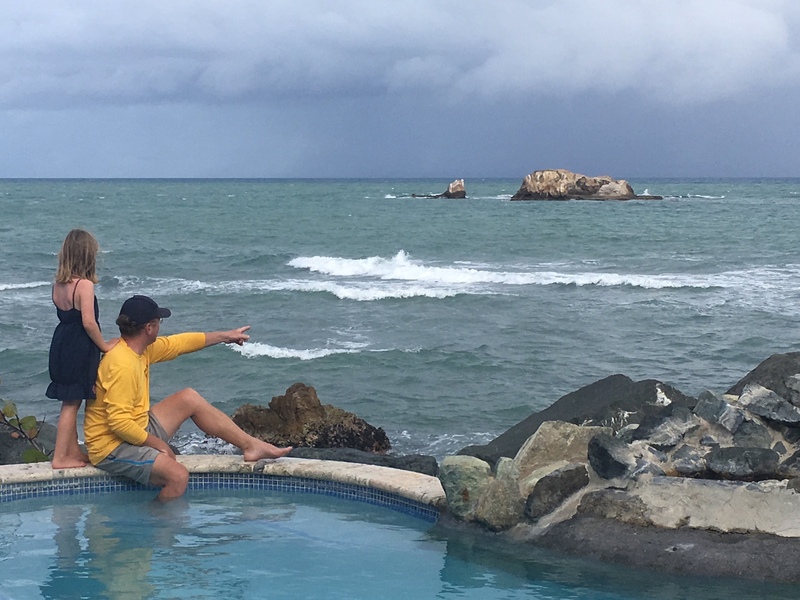 It’s hard to believe that we’ve been in Grenada for three months already, though in many ways, we feel rooted here. 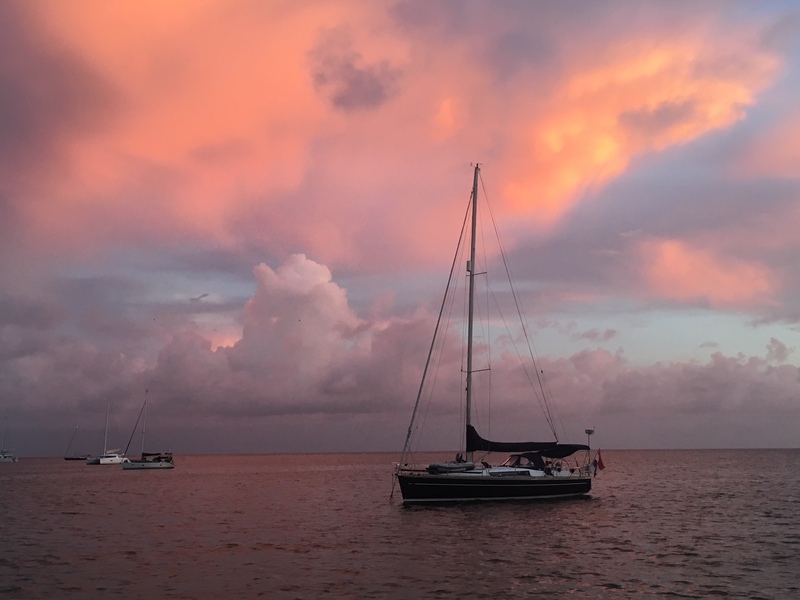 This community, both cruisers and locals, is so welcoming, and each time we experience something new here, we understand why it’s a mecca for so many boaters. But it’s also been a challenging few months, with a lot of introspection. Speaking frankly, Aaron and I have both been slaves to the almighty dollar, working hard to get some money in the bank, as our cruising reserves were sorely depleted when we dropped the hook here in July. This has very much driven some tough conversations about what this upcoming cruising season would look like for us, or if there would even be one. But through some come-to-Jesus moments , we’ve realized how well we set ourselves up for cruising longevity with more than just dollars in the bank. More on that in a bit. First, how did we get here? I have found that one of the most common misconceptions about this lifestyle is that it is cheap. It is definitely cheaper than living on land in the States, but at the same time, you’re not working a full-time job (or in many households, two full-time jobs) to support the family. In many ways, this lifestyle has felt more like hemorrhaging money. Typically, cruisers start out with a cruising kitty – money they saved while they were hatching their plan, to live off of while traveling. Others, like us, saved while also developing skills and businesses to allow us to work along the way. Sitting at our condo back in Oak Park, Ill., Aaron and I put together a spreadsheet of definite costs we knew we would incur each month: the (very) low-interest mortgage for whatever boat we purchased, cell phone and data plans to stay connected, groceries, general boat maintenance, and the initial refit costs for our next boat, as well as added in padding for the unknowns. We also estimated a conservative income from working remotely (both he and I) and factored in money from the sale of our first boat, the Pearson 36-2, in Chicago. The proceeds from the sale of our condo and two cars would go toward purchasing the new boat. Gorgeous St. George’s. It’s easy to set up camp in one place for awhile when it’s as beautiful as this is. We thought we had ourselves pretty well set for two to three years of cruising, at least. 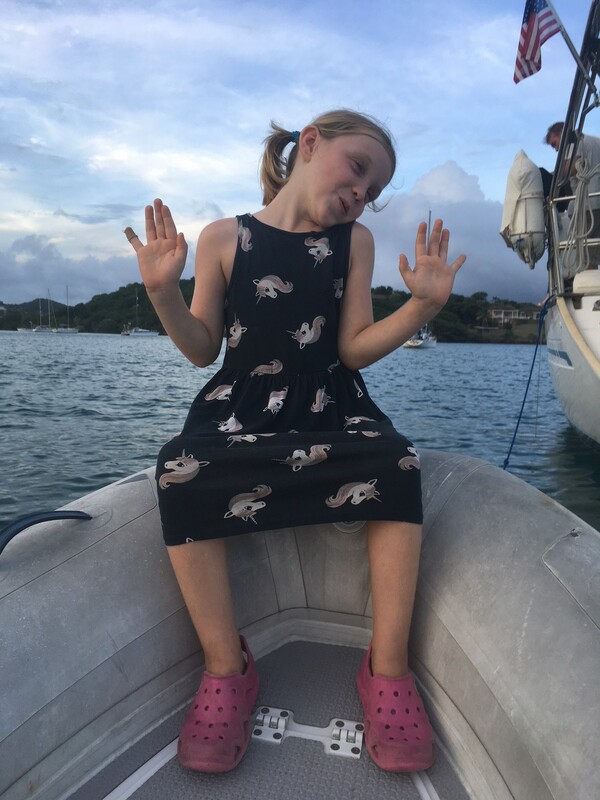 However, when Clarity dropped anchor in Grenada back in July, our cruising kitty was completely gone, and we were actively living off of all that we are able to bring in each month, which needed to be more. This was due to a number of reasons. Clarity also managed to rack up unforeseen costs well into the tens of thousands, both seasons we’ve been out. 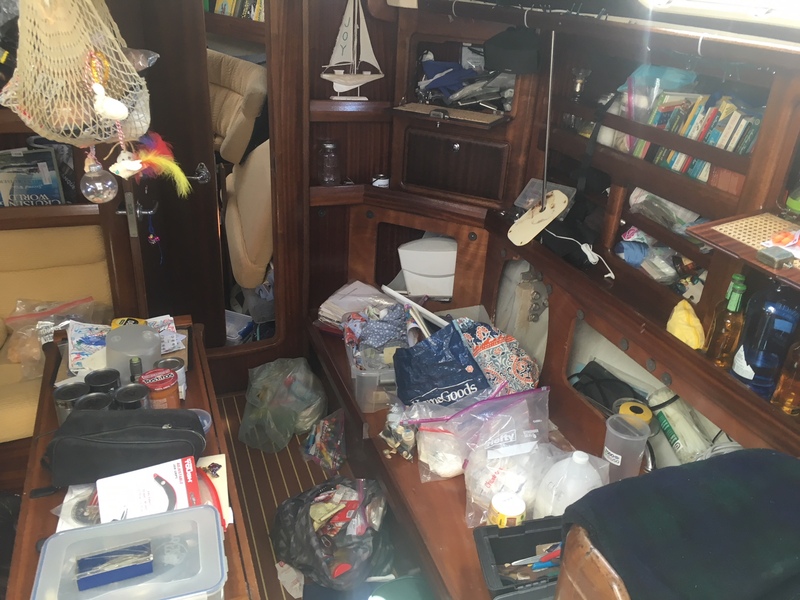 We planned for boat maintenance and knew things would need to be replaced or updated when we purchased her, but the saildrive, and all of its associated costs, was a surprise. Then, replacing the entire rigging was another financial burden that came sooner than we thought. Huge jobs like this not only add up in the parts, or even the labor, but the days on the hard, when we have to pay both for where the boat sits, and also for a place for us to live in the meantime. (Of course, this is always in beautiful Caribbean islands where the steady influx of vacationers kicks up the per-night rates.) Then, there’s the international shipping to get the parts wherever we are. The import taxes and customs fees. The list goes on and on. So many amazing opportunities here thanks to the active cruising community! Here’s Claire and her friend Layla relaxing after a morning at sailing camp. Other non-boat costs have been thrown into the mix, too. Medical bills we are still getting from Claire’s surgery to have the bean removed from her nose in the Bahamas. Unplanned flights back to the States for family emergencies. And a handful more. The day-to-day of cruising is not what eats away at your bank account. It’s everything else. Another factor for us is that, while we do have money in savings that’s smartly invested and actively managed, we are determined not to use it. We are determined to live within our means (income) and use what we have invested to help us transition into “the next chapter,” whatever and whenever that is. 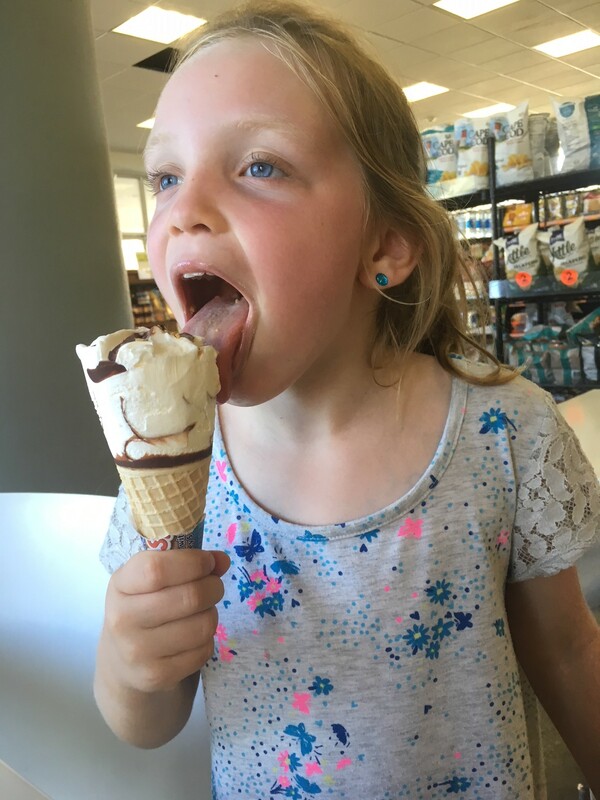 We also have a healthy college fund for Claire that we set up at least six years ago that has been steadily increasing, so no matter what we decide as a family in the coming years, we can support whatever path she decides for herself. 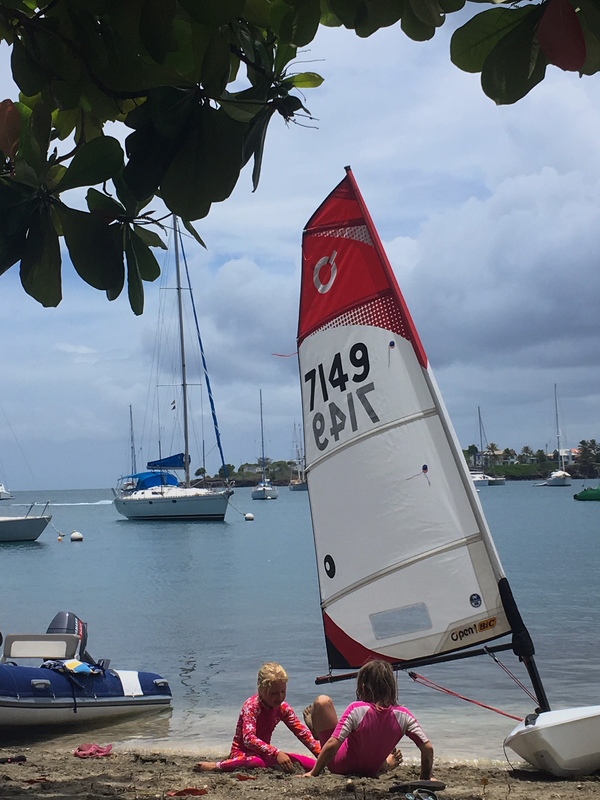 So, as our boat swayed in the steady trade winds here in southern Grenada, we had to seriously look at our finances and come up with a plan. 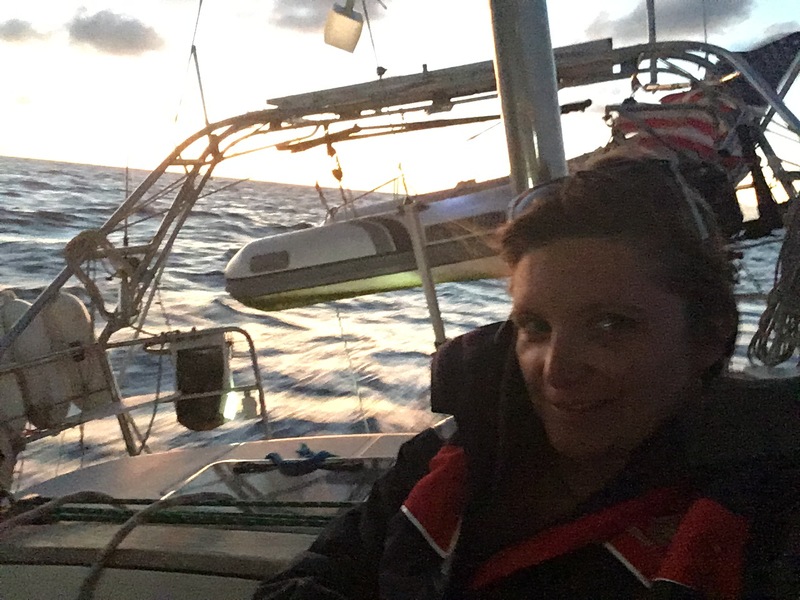 Amazingly, after the “What are we going to do?” nights with some impressive wine consumption, we realized that the smart decisions we made three or four years ago, while living part time on our first sailboat, would pay for themselves tenfold now. As many of you know, I’ve been doing contract editing ever since I had Claire, and I worked hard to cultivate relationships before we left that would allow me to bring in money as needed. The key was finding the right connections that would continue to jive with our fluid lifestyle, which was no small feat. 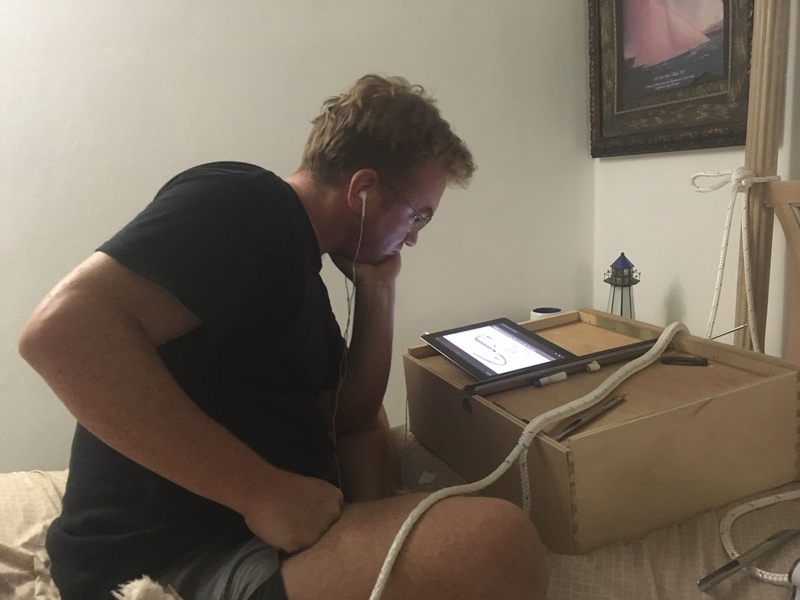 Also, while still working full-time, Aaron put in long hours on the side preparing himself for work that might prove beneficial while we sail. 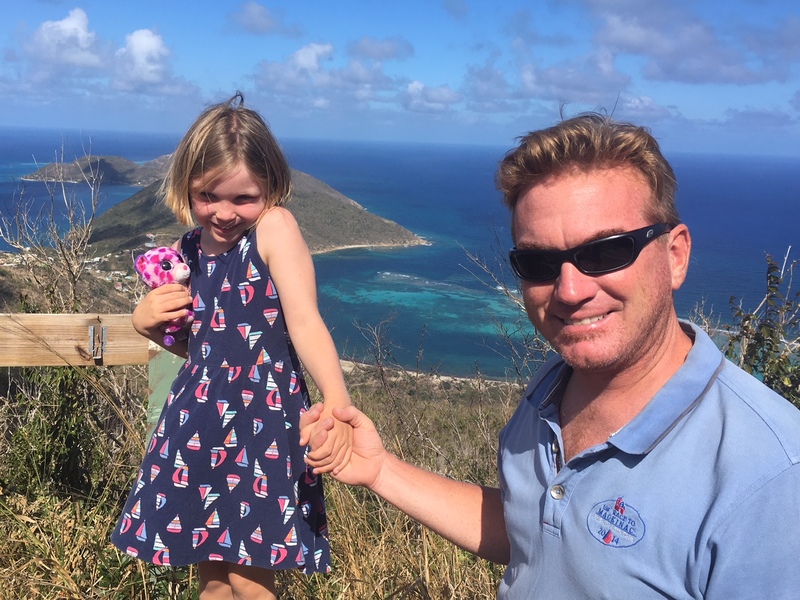 Over the course of two months of studying and classes at the U.S. Maritime Academy (and 15 years of on-the-water experience racing sailboats), he got his master captain’s license and then began working part time for a sailing school and charter business taking groups out sailing. He then studied to become a marine electrician, becoming American Boat and Yachting Council (ABYC)-certified, and set up his own business, Clarity Marine Systems. CMS took off quickly and successfully, with Aaron regularly working in yards and marinas in the Chicagoland area. To dig us out of our hole, so to speak, all we needed was some time in one place (hurricane season!) to allow us to draw on our skill sets more heavily. 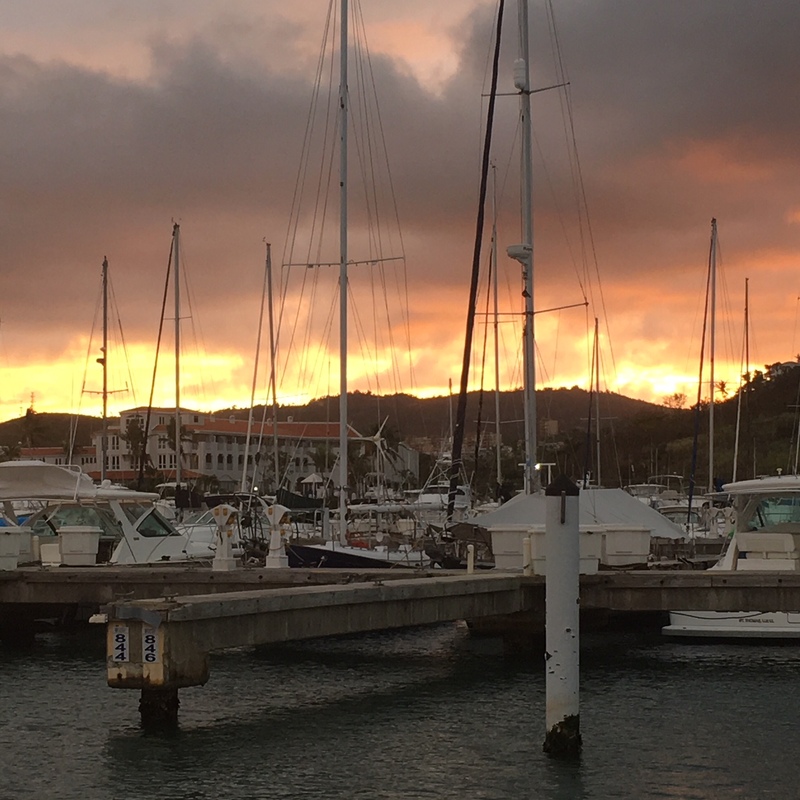 Here in Grenada, I increased my work load (again, so grateful to have cultivated relationships with clients that allow me to increase or decrease my docket as needed) and Aaron started to look into marine electrical work, which there has proven to be a bounty of here. We’ve started the process of re-establishing Clarity Marine Systems as a registered and insured Grenadian business, a requirement to legally work here. 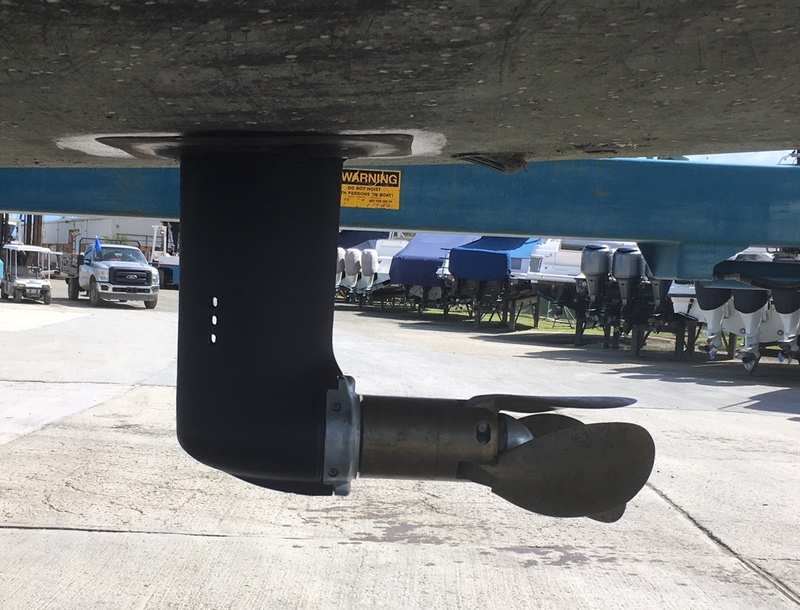 He’s been intentionally making his own connections with cruisers, marinas and boatyards in preparation for next year. 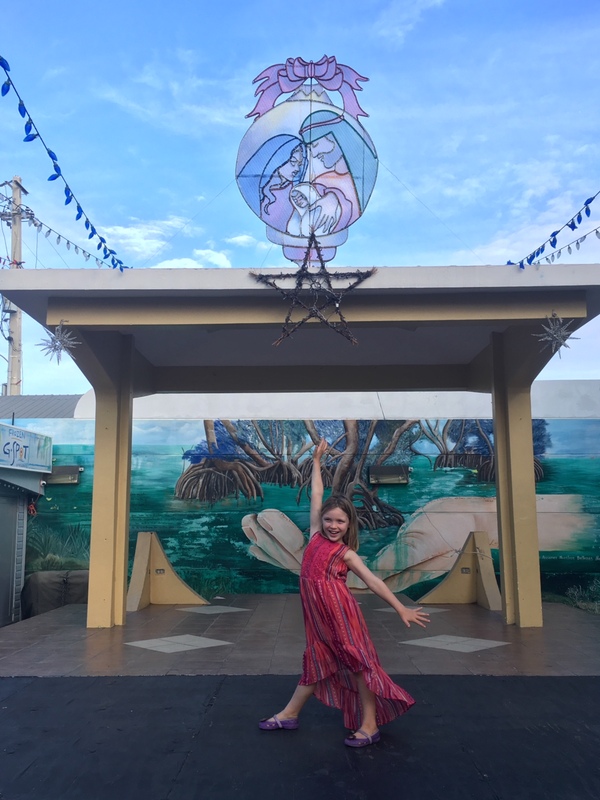 We are both very busy and tag-teaming homeschool with Claire, not to mention juggling one “car.” We are now in a position that we’re keeping a healthy family dynamic while slowly but surely building back our cruising kitty. 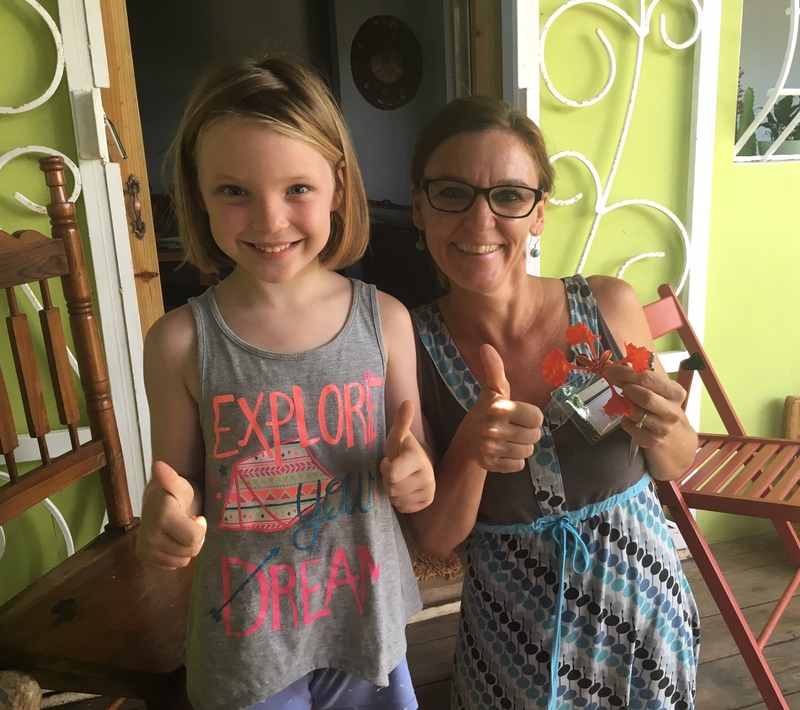 We finally pulled out of the black hole our repairs in Puerto Rico put us in, are living comfortably off of what we make each month, and have started saving again. But at least for the next month or so, we will stay in Grenada and continue at this pace. 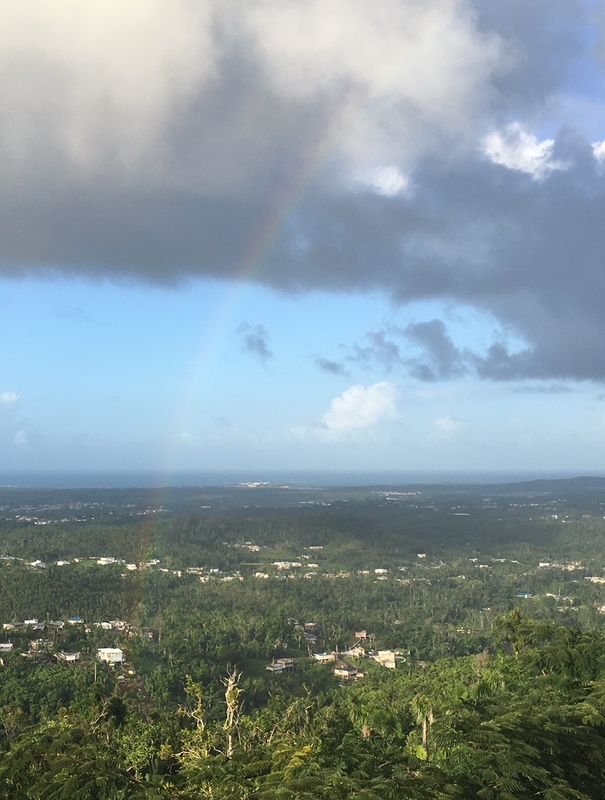 As hurricane season wraps up, we could leave now and cruise on the money currently coming in, but it would require us to keep up the same pace we’re doing now while we are on the move, which would be exhausting and challenging. 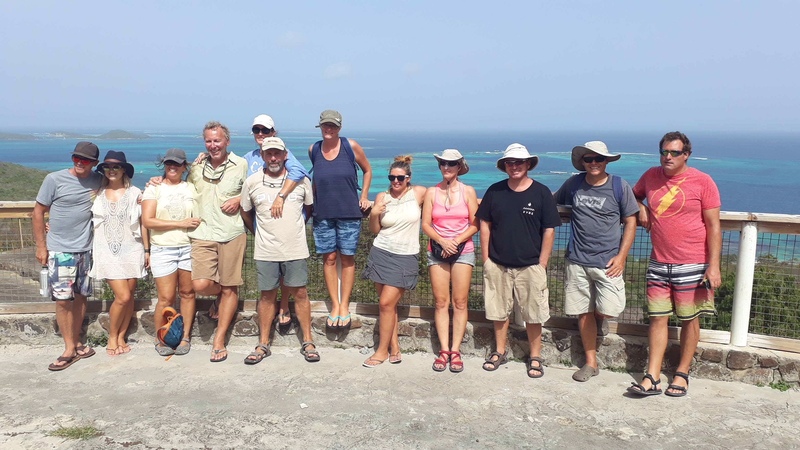 And truthfully, we want to enjoy the islands we visit, really dig in, rather than having to count every penny or feather in adventuring just on weekends. We want to rent cars and take tours and enjoy a nice meal occasionally and buy fun toys we would like. That is truly our happy place, making smart financial decisions, living small, but also allowing ourselves that flexibility. Also, we just know there will be big-ticket boat items that will come up this season, as they have every season. We’ll likely need to replace our battery bank during the next year, which will cost thousands, and I’m sure that bell will toll sooner than we’d expect. We need to be financially prepared. 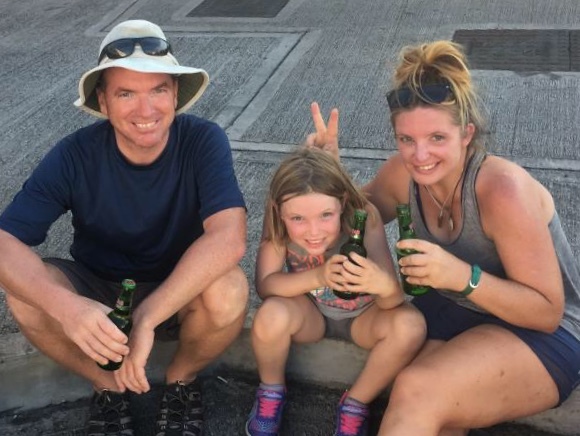 We’ve been going at a million miles an hour since we arrived here in Grenada, but we make sure family time is still our No. 1 priority. 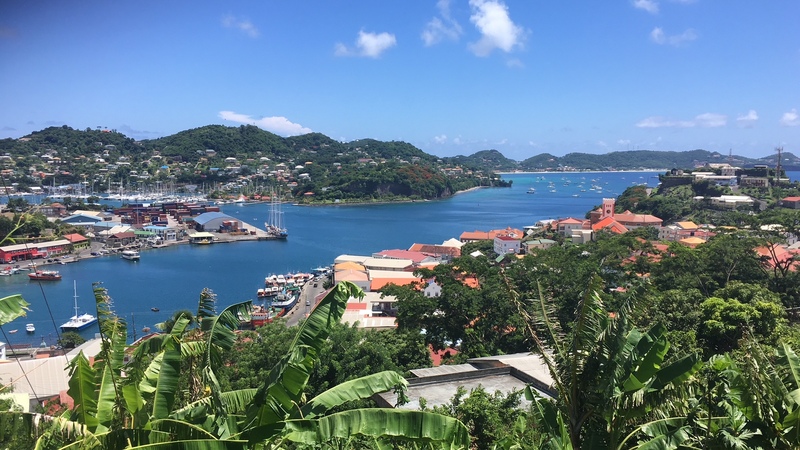 Grenada has been an interesting culmination point for so many cruisers. 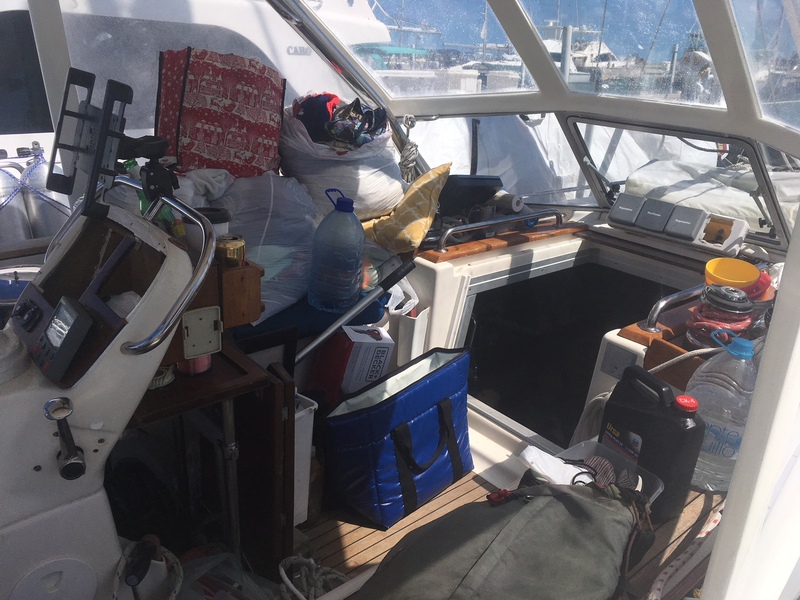 We’ve seen several families put their boat on the hard and go back to ‘land’ to work for a few months or even a few years to replenish the cruising kitty. Some of them come back, but more often, the boat is put up for sale a year later. We’ve also seen so many “bon voyage” parties, the dream of sailing the world finished, and the crew ready to move on to the next chapter. 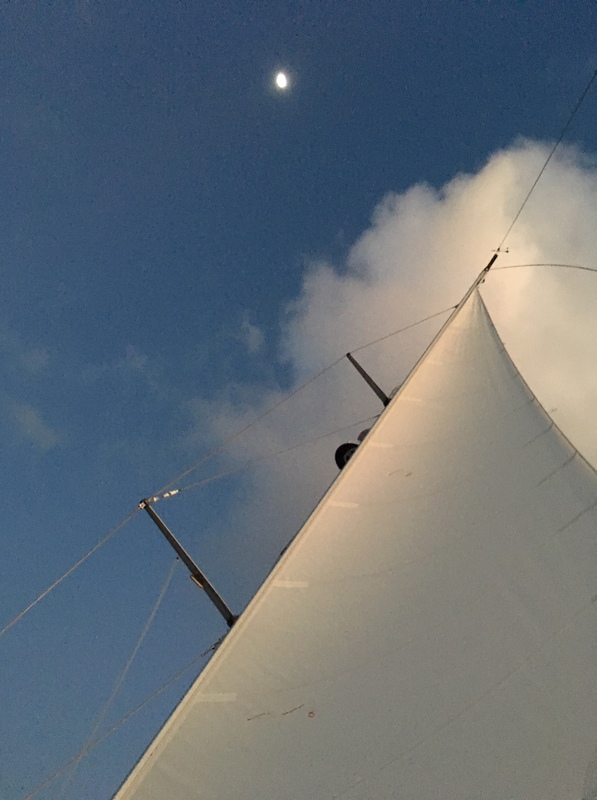 It’s also hard to hear when family members are not all on the same page about the decision – some want to keep sailing, but others don’t, so they’re forced to throw in the towel. One thing I’m so grateful for is that Aaron and I are on the exact same page – we are not done cruising. We have not checked that box off. There is so much more to see. We are both fully invested in this lifestyle – we just want to do it in the way that makes the most sense for our family. So, here’s the plan, as it stands right now. 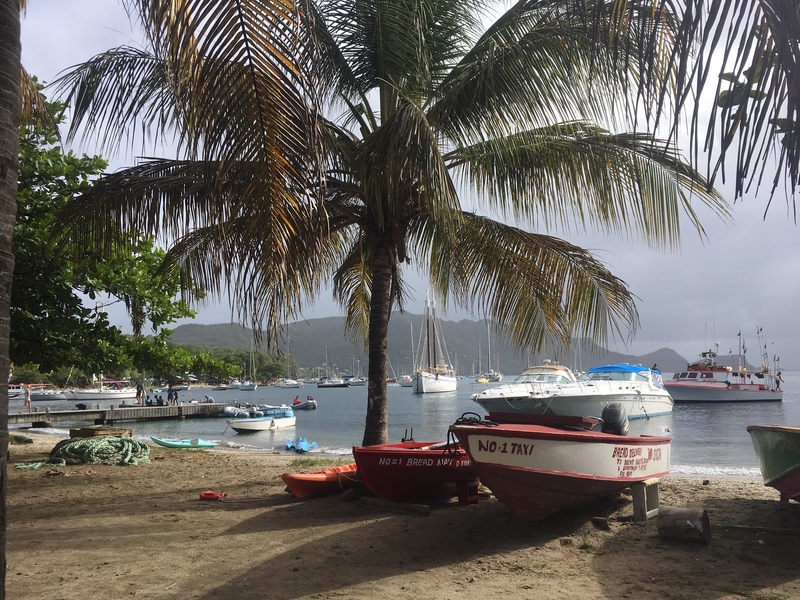 As cruising season gets in full swing, we’ll head north for an abbreviated season, hitting the islands we missed last season and spending more time in the ones we loved. I’ll keep working, but with a lighter workload, and Aaron will pick up jobs on boats as they present themselves along the way. Then, we’ll get back down to Grenada early, before next hurricane season starts. 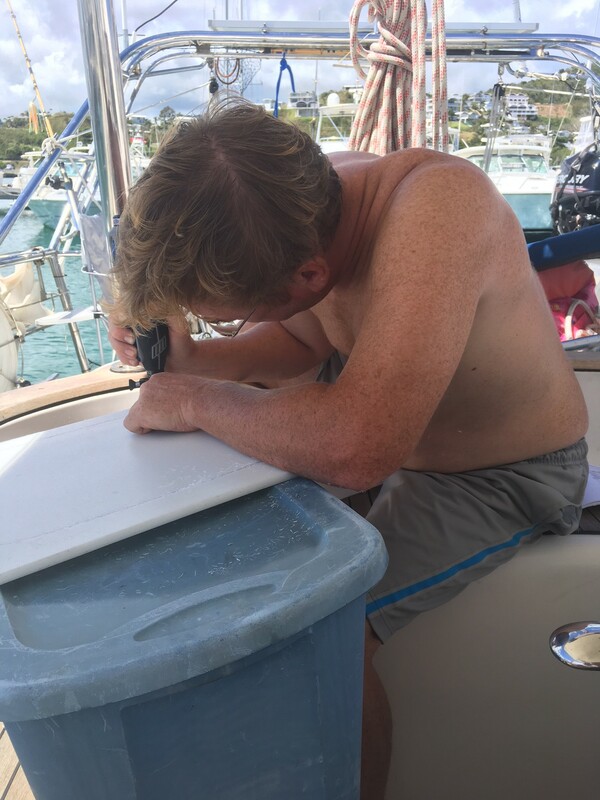 This will allow Aaron finish setting up Clarity Marine Systems as a Grenadian business and be ready for the cruising and charter boats to start packing in. Finally, after three months of a lot of work and a lot of stressful, hair-pulling, emotionally taxing conversations, we’ve come up with a plan that keeps us out on the water comfortably as a family, which is really my only priority. My only true goal, that trumps all the rest. Let’s. Just. Keep. Doing. This. Who can complain about a long day of work when you’re treated to breathtaking sunsets like these? !